Recently I’ve tried my hand at some rudimentary bags. I showed them to you in a previous post here and here. 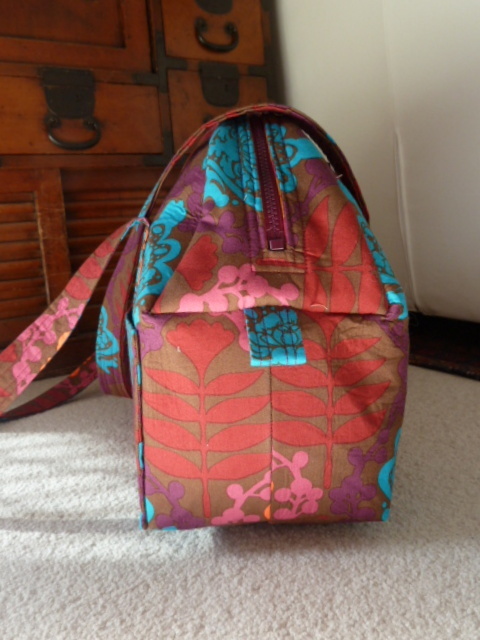 Then I saw this great pattern on the Sew Serendipity website. I bought the pattern and thought about it for a while. 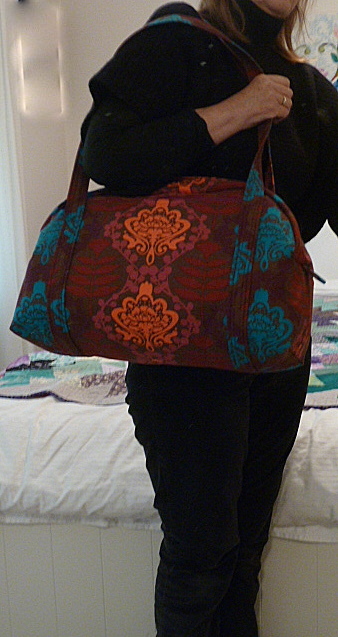 Then I was sidelined from hand quilting because I hurt my hands/wrists so I decided this was the perfect time to try to make the bag using my machine. There are learning curves and then there are LEARNING CURVES! This one was an Everest for me. To begin with all went smoothly but then as I started sewing through 10 thicknesses of fabric, 9 thicknesses of interfacing plus one thickness of Peltex, I realised two things – 1. 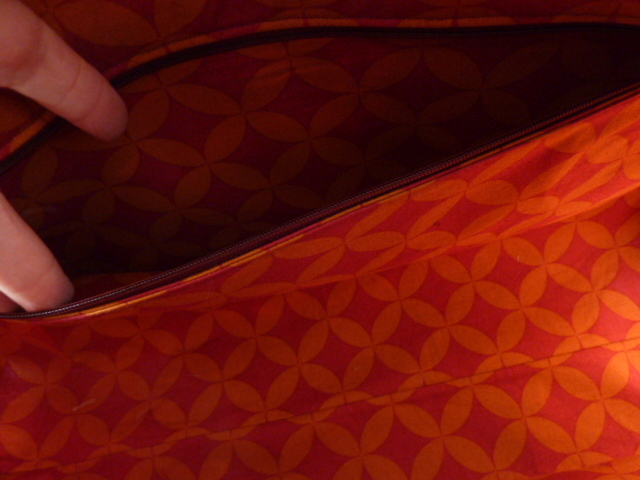 Manhandling all that fabric and a sewing machine is not good for sore hands and 2. 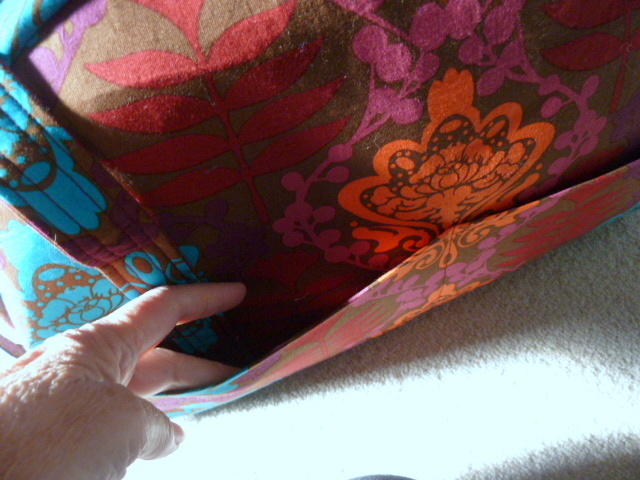 I need an industrial strength sewing machine just to get that much fabric under the presser foot! 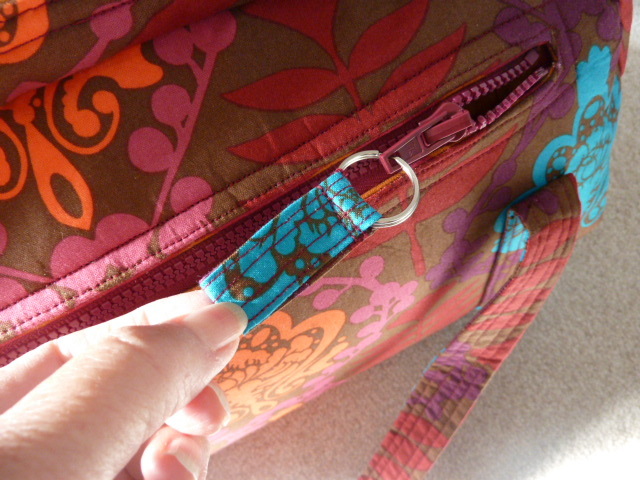 I persevered and finished the bag. Some bits I had to do by hand because they physically would not go under the presser foot of my machine. 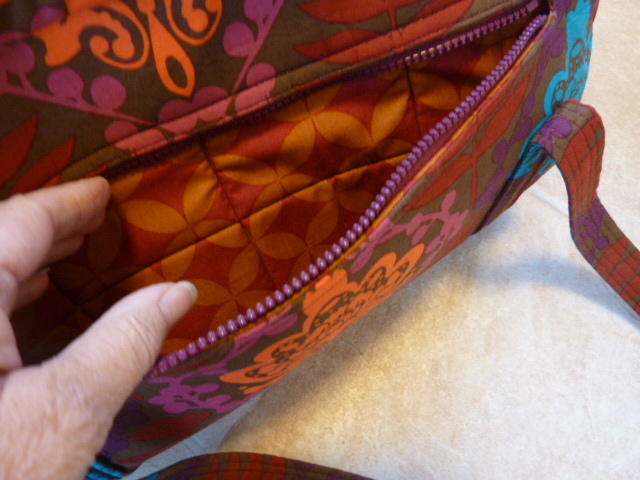 Other bits I did but not to my satisfaction as it was too difficult to manhandle a whole, stiff, inside out bag and sew several very thick pieces at the same time. I’m happy with the end result but IF I ever made another I wouldn’t make it so stiff. 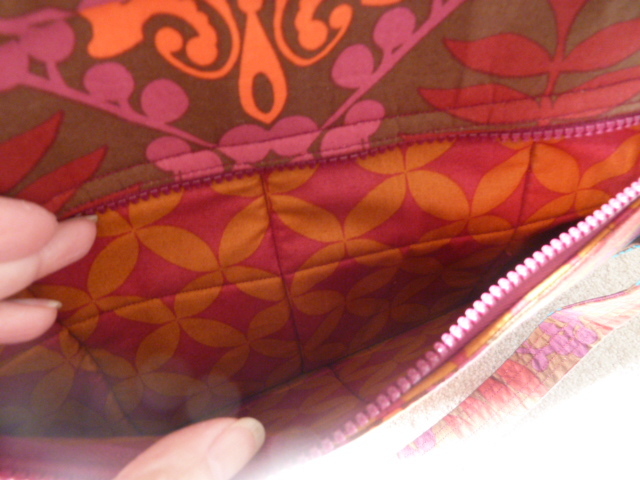 It’s just too hard with an ordinary domestic sewing machine. Anyway here it is. What do you think? Lovely! Congratulation on winning the war…8-). I was starting to worry about you, since you haven’t posted in quite a while. I see now that you were climbing Everest w/o a Sherpa!! I’m glad you made it to the top, and with that terrific bag as your flag to plant…lol. Did you try getting some of the more medical-oriented splints for your poor hands? Thanks Linda. I did try splints but can only wear them for an hour or two at a time and then they cause their own set of problems. Oh well done Munaiba. It looks fabulous. Great bag Munaiba. I just bought a travel bag that size and spent a fortune on it. 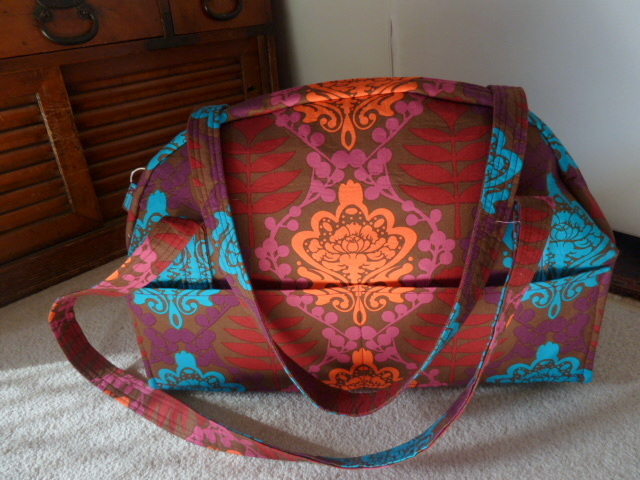 BUT I don’t think I could ever wield a sewing machine well enough to accomplish that gorgeous bag. I hope your hands are doing better. Beautiful bag, well worth all the work!